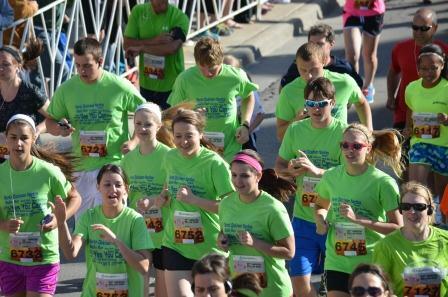 Students and staff from area high schools will compete with other schools to see who can get the highest participation in the Bellin Run (based on percentage of total number of students, staff and faculty). Advertise the High School Challenge. Receive a gift of Bellin Run apparel. Manage their school’s T-shirt design and production (optional). Distribute training schedule, early registration gift and race packets (optional).